One great thing about living in San Diego is that we are in close proximity to one of the two or three fashion and art capitals of the country. A quick drive (or a brutal one depending on traffic) and we’re in the heart of cool and trendy. Melrose Street is in my opinion the epicenter of the up and coming trends in LA with both sides of the street lined with boutique clothing shops that find and create the hottest look long before the big department stores. People watching there is great, half of the people with normal day jobs are spending off hours trying to break into Hollywood’s movie, TV or music scene. Neo bohemian is probably one of the biggest fashion trends right now, with influences that come together from decades past and are put together in a fun way void of strict rules or a single pattern or palette. I don’t think that I could pull off many of the neo boho looks but the styles often catch my eye and inspire me in other ways. One thing I’ve noticed is that the neo boho colors often have beautiful petaled tones, something my eyes always gravitate towards whether in a draping dress or a plaid shirt tied around a girls waste. Dusty rose is probably my favorite color in the spectrum but shades darker and lighter work amazingly well, especially when combined with gray, white, gold and certain shades of blue and green. For 2017 I want to venture out more in many ways, including the colors I have on my walls. I’ve been too boring by keeping them different shades of white all of these years. 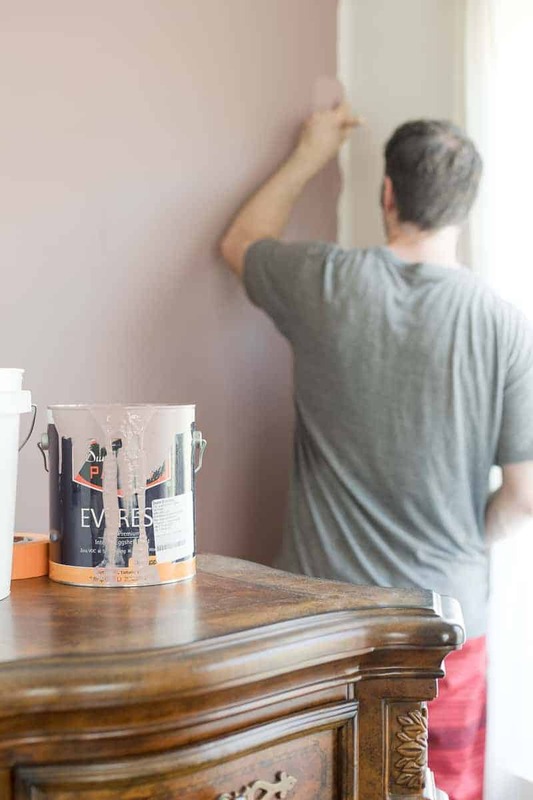 Painting a room or even just an accent wall is fun and low risk. The worst that can happen is that you don’t like it and paint it a different color that you like more. I had my neo boho look in-mind and the accent wall picked out, but from there I was a little bit lost. That’s where Dunn-Edwards first came into play. 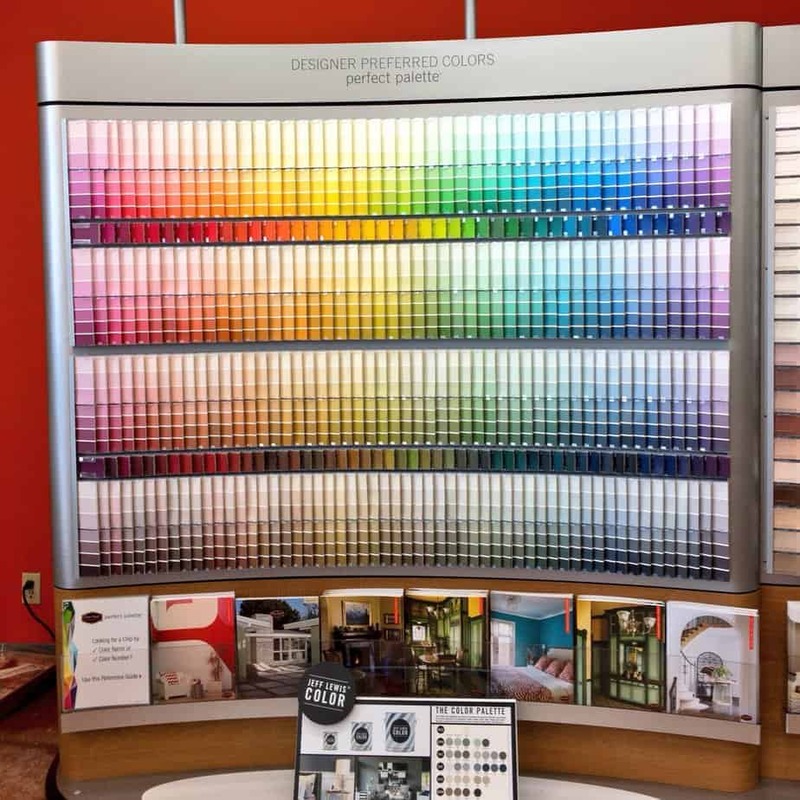 I called my local branch and scheduled a free, sit-down consultation with a Dunn-Edwards Professional Color Advisor to help me go over my ideas for the project and hone in on the tones that best fit me and the room I’d be painting. The advisor that we worked with (Sarah Glaser) was amazing. She had such a keen eye for style and color and was also really fun to work with. It was as relaxed as talking to a best friend, yet so much more helpful as Sarah had helped hundreds of other people in the same boat as me. I liked that Sarah wasn’t pushing her ideas on me, rather she was asking a lot of different questions about my taste and influences. 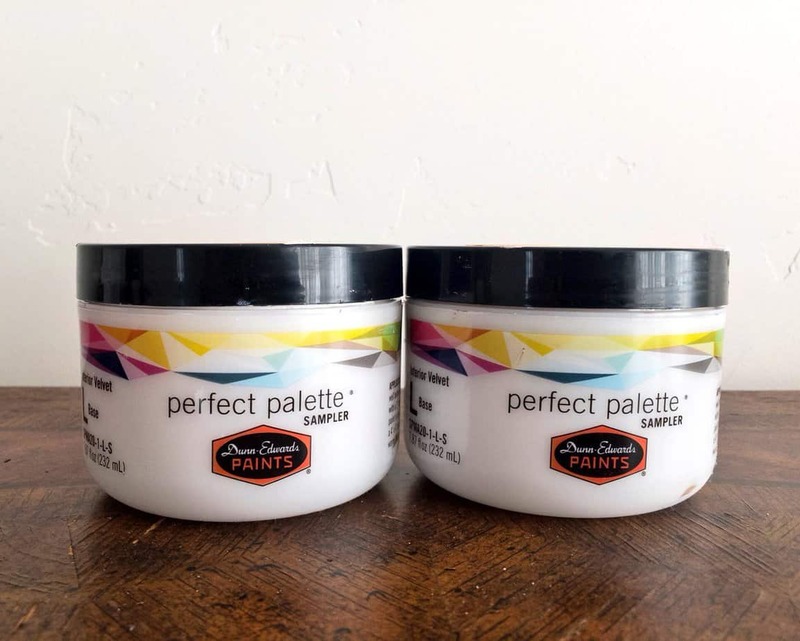 We landed on a couple of colors to try out on the walls and she gave me small sample sizes to make sure they looked good on our walls (the amount of natural light that comes into a room can vary so much, so Sarah stressed making sure we liked it as much at home as we did in the store). Once we were sure about the color Sarah helped us decide on the amount of gloss we needed. We went with velvet as we need less gloss than the kids’ rooms that have eggshell). She also helped us peg down the right quantity. Dunn-Edwards has all of the supplies we needed, it was nice not having to go to separate places for the paintbrushes, rollers, tape and more. I was expecting a toxic smell when I got home but the paint was free of VOC (Volatile Organic Compounds) and practically odorless. 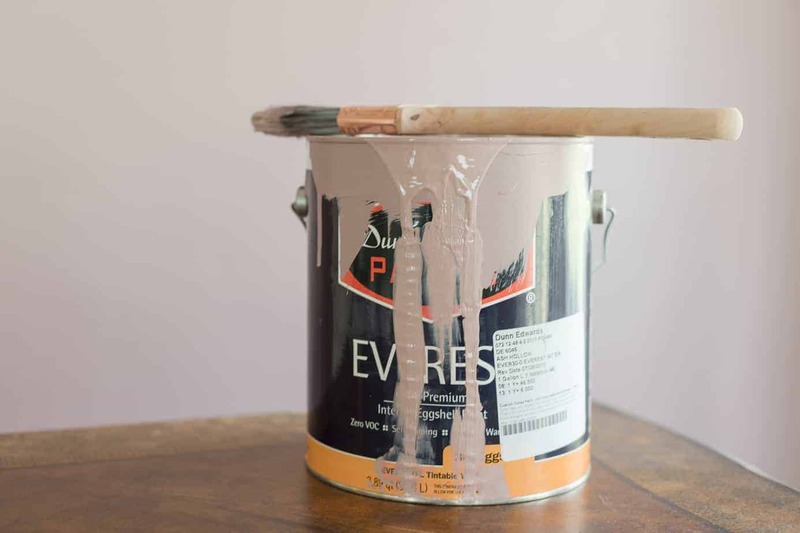 From my other posts you know that I am very big on partnering with green companies and I’m proud of Dunn-Edwards for leading the charge in that area, especially in an industry where many companies do use harmful chemicals. Without having to worry about that I could therefore just focus on the wall itself, which I loved! I found that going with a more bold look than I’m used to was still within my comfort zone as I put up some mirrors and accessories that had complimentary tones. My room looks so much more fun now, it has more personality and vibrancy yet is still classy and most importantly something I like waking up to and relaxing in. A special thanks to Dunn-Edwards as that was the difference maker at every step: selecting the color, choosing the gloss level, and using their premium quality paint. This entire process was one that was much more fun than stressful, a rarity for any home improvement! FREE color consultation service and find a Linqia specific coupon that’s valid for one FREE 8 oz sample. Great color selection. Can you share what color you used on the wall?